MOSER INC. - Your Radiant Floor Heat Specialists. Moser Inc. designs heating systems that provide our customer's homes With a comfort most people have never experienced before. When people feel the warmth of Radiant Heat for the first time they realize the potential that a Radiant Heating System has when compared with a conventional system. 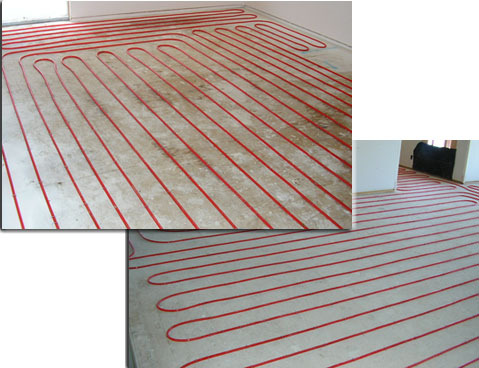 With Radiant Heat you no longer have the discomfort of cold floors with drafty hot and cold areas; your floors will be warm to the touch with a constant temperature throughout your home. This is the most comfortable way to heat your home. Copyright © 2004 Moser Inc.